Pharmaceutical kickbacks are a type of fraud where a drug manufacturer bribes a healthcare provider to encourage him to prescribe a medication for unapproved or inappropriate uses. They may come in the form of incentives such as lavish vacations, monetary rewards, luxurious gifts, or phony research grants. Paying any kickback to healthcare professionals such as doctors or pharmacists is illegal under the rules that govern Medicare and Medicaid. The danger of this type of fraudulent behavior is that they often persuade doctors to prescribe medicines based on financial interest rather than the medical needs of their patients. Patients whose doctors receive kickbacks may be prescribed a drug which is less effective or untested and potentially dangerous for a given purpose (off-label use). 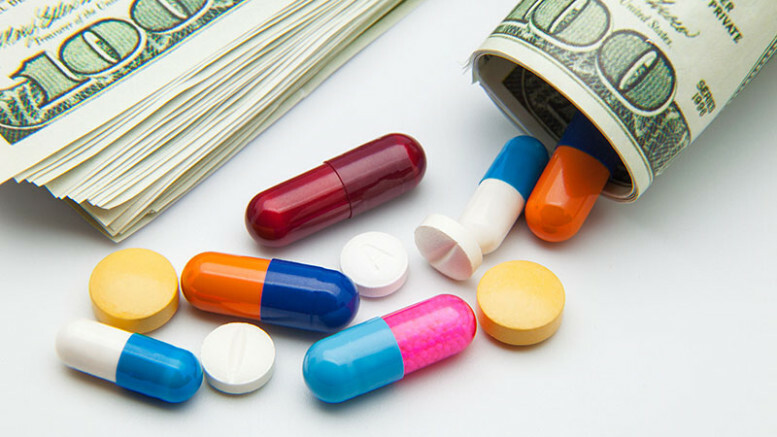 Why pharmaceutical companies pay kickbacks to doctors? Kickbacks are frequently used by pharmaceutical companies to persuade physicians, pharmacies, healthcare providers and nurses to favor the company’s medication or treatment over a competitor’s to increase their profits. These unlawful forms of payment to healthcare providers directly influence doctors’ prescribing decisions. A 2016 study published by researchers at Harvard Medical School found that pharmaceutical industry payments to doctors steered their prescriptions towards brand-name statins. This practice resulted in consumers and the government paying for more expensive medications even though cheaper generics were available. Pharmaceutical Kickbacks violate the Anti-Kickback Statute, which protects American citizens by prohibiting anyone from offering payment to recommend any service reimbursed by a federal health care program. Since these bribes often hide worse criminal behaviors, those who break this law are also generally prosecuted under the False Claims Act (FCA). The most basic form of bribery involves providing material gifts (such as gold pens, cameras or golf clubs) or direct cash payments to doctors. These incentives may also include lucrative consultant contracts, luxurious holiday, tickets to live sporting events or shows, or hefty fees to speak at conferences. Sometimes healthcare providers are offered a prescription quota or flat payments per prescriptions assigned. 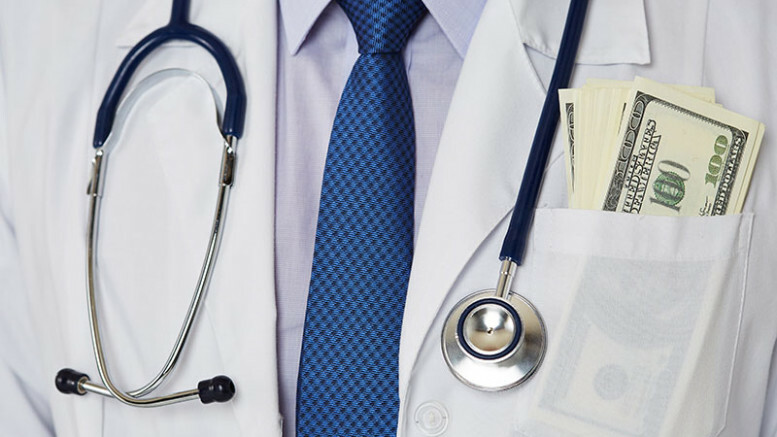 Doctors, experts or other authoritative figures in the medical field could be paid to give lectures, organize seminars or arrange Continuing Medical Education (CME) to promote a prescription (which often involves an off-label use). The most unscrupulous drug manufacturers were able to hide their real intents by organizing apparently unbiased seminars with the help of shell corporations. Sales representatives can be instructed to encourage physicians to give away medications to patients by providing them with free samples. For example, they may send free samples of drugs that have never been approved for pediatric use to check potential off-label uses. In 2015, the U.S. Department of Justice (DOJ) recovered over $1.9 billion from FCA Medicare/Medicaid fraud cases that also involved kickbacks. In some cases, Kickbacks to healthcare providers have placed patients at unnecessary risk by incentivizing overmedication or unnecessary medical procedures. Kickbacks have been used to circumvent the Food and Drug Administration (FDA) in Off-Label Marketing schemes, leading to serious consequences for the healthcare industry and patients themselves. The rise of FCA pharmaceutical fraud cases signals the growing role that kickbacks play in modern healthcare as well as the DOJ’s desire to tackle it. The Big Pharma’s continuing practice of giving gifts and payments to doctors is further evidence that kickbacks change prescribing habits. Drug manufacturers spend billions on influencing leading medical experts. In fact, direct to physician marketing and industry gifts account for over 80% of all promotional expenditure in the drug industry. And a recent national survey found that 94% of physicians accept some form of industry gifts or payments. On November 2013, Johnson & Johnson paid $2.2 billion to the DoJ to settle claims for the off-label marketing of the drug Risperdal, which had been approved for the treatment of schizophrenia in adults. The company provided kickbacks to doctors and pharmacies to encourage prescription and overprescription for treating elderly dementia and childhood ADHD. The qui tam suit yielded four whistleblowers a $112 million cut of the settlement. On December 2014, PharMerica Corp admitted to accepting kickbacks from Abbott Laboratories in exchange for the overmedication of Depakote in its patients. This was part of Abbott Laboratories’ Depakote off-label marketing campaign, for which it paid $1.5 billion to settle DOJ charges. PharMerica’s financial liability is currently pending. On March 2016, Teva Pharmaceuticals agree to pay $27 million to the Department of Justice for compensating a Chicago-based psychiatrist to promote and prescribe the anti-psychotic drug clozapine in over 30 regional nursing homes. In exchange for this, he was given financial gifts, all-expense-paid vacations, and speaking engagements at conferences. After issuing over 50,000 such prescriptions, the doctor himself pled guilty to FCA Medicare fraud in 2015. He received a $692,000 fine and a 9-month prison sentence. On March 2005, PharMerica Corp., the second-largest nursing home in the United States, paid a $6 million settlement to the DoJ. The company allegedly overpaid to buy a pharmacy start-up in order to win the business of a nursing home competitor that owned it. The Federal government determined that the disproportionate payment constituted a kickback for the business. On November 2010, nursing home drug supplier Omnicare paid $19.8 million to the DOJ to settle kickback charges. The qui tam whistleblower suit claimed that the company provided two nursing homes, Mariner Health Care Inc. and SavaSeniorCare Administrative Services LLC, $50 million worth of kickbacks and bribes to continue using them as a vendor.